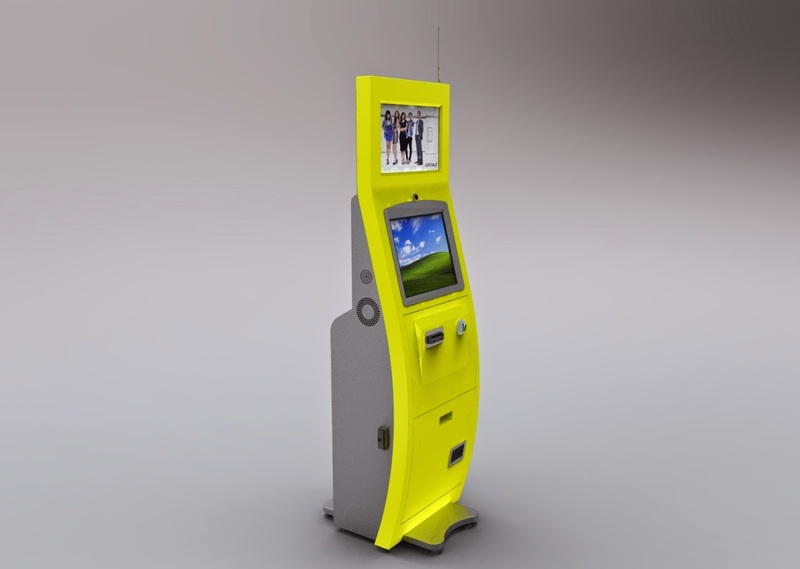 Our companies has gathered and built our success in past 10 years on the acumen we have learned how design can assist our clients to attain more success and achievement and in one recent project which initially started 3 years ago with a client approaching us that they were starting to launch a new business concept that require kioskterminals that were able to accept coins and cash. 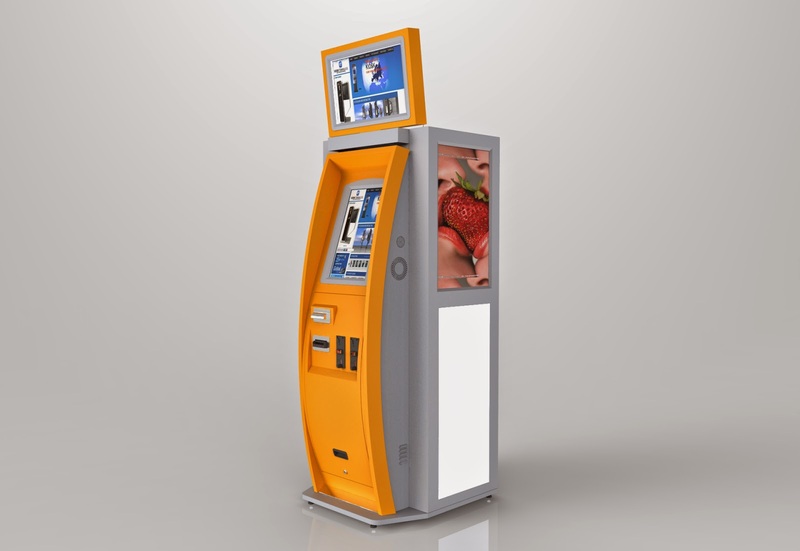 Initially the unit the client showed interest in was one of our standardized models, the C8 a robust curved model which has proven popular with customers certainly has attractive design as well as incorporating easy serviceability so important when in reference to having ability to collect cash inside that it can be done quickly and without having to spend time which could increase cost that is combined in managing a network of terminals that accept old fashioned cash. The client proceed with a purchase of 5 pilot terminals, and with any new venture a pilot is critical to the investor to demonstrate a proof of concept and in this case our client had to be able to demonstrate to its investors that this solution would pay off. Luckily it did! After the initial pilot the customer who had regularly visited the terminals in their place of installation to gain better understanding of users and their use of these machines, the concept was so new in marketplace this tracking took best part of 4 months before the accumulated reserach was studied and the client then returned to us with their findings. He initiated a further order and expanded it to 25 terminals a so called first mass production run and he had understood he required a more ad space to proliferate and inform the users who were within a large building to gain their attention to the kiosk and what offerings it provided them. Concept of secondary design we prepared. 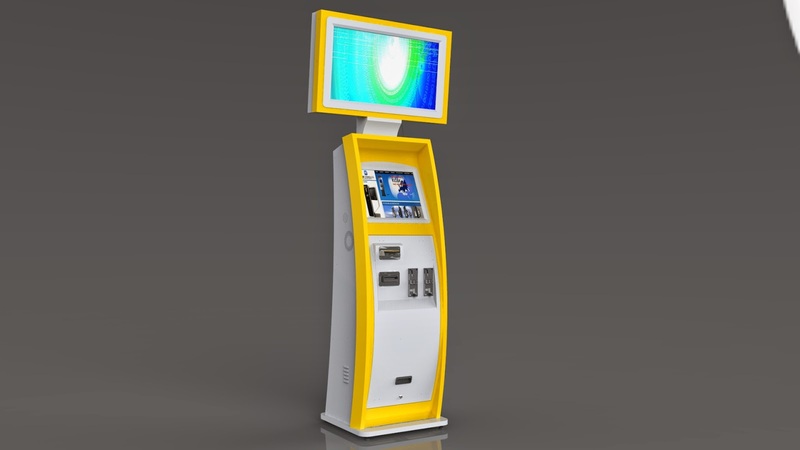 Once the initial 25 units placed the client then began his study on performance and noticed that adding an additional larger monitor and top did in increase awareness, the client who was positioned in locations which in times required potentially to increase turnover to accept other foreign currency expanded two having dual coin slots so that each different coin validator was able to accept two different kinds of foreign currency which also expanded the turnover of these terminals. Their was a healthy 6 months of research undertaken and data collated and then the client returned a third time, he had found that he had voluminous increased his turnover but he felt that with the amount of people traffic occuring in this international location their was more that could be achieved which at KT we initially were quizzical that this could be true but during a in-depth Q&A meeting the customer explained to us why there firm of specialists came to this conclusion. The design was once again re-engineered to the customers wishes and on this occasion we also called in our designer as it required more thought and hence our version 3 was borne. Now radically redesign the unit achieved what our specialist client had seen through his in-depth marketing research, the corridors of which there are many and extremely long in which people traffic went from left - right or viceversa were seeing the terminals from the side and thus when walking past them the majority being the busy men and women they are would walk past these terminals without giving them much attention what our client proposed was to add both digital large sized monitors and traditional poster print advertising to each side of the terminal and therefore these units ended up being labelled internally at KT Group as Christmas trees.